Allen Archery Field Points Bullet Points 12pk 100gr 11/32" #1461 FREE SHIP! Allen Bullet Point 100gr 11/32" dia. Good for use with fast bows that create lots of energy, these points create less wear and tear on foam targets than field points. 5 out of 5 stars - Allen Archery Field Points Bullet Points 12pk 100gr 11/32" #1461 FREE SHIP! 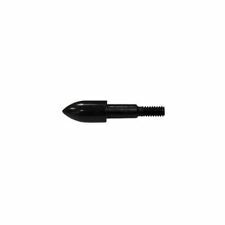 4 product ratings4 product ratings - Allen Archery Field Points Bullet Points 12pk 100gr 11/32" #1461 FREE SHIP! Allen Archery Field Points Bullet Points 12pk 100gr 9/32" #1464 FREE SHIP! Allen Bullet Point 100gr 9/32" dia. 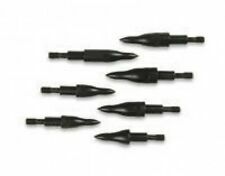 Good for use with fast bows that create lots of energy, these points create less wear and tear on foam targets than field points. Quantity: 9 Blades & 3 Washers. Technical Information. 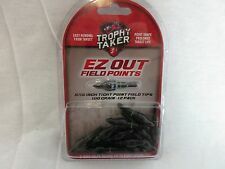 One Dozen Trophy Taker EZ out field points 100 grain 17/64" or 5/16"
1 out of 5 stars - One Dozen Trophy Taker EZ out field points 100 grain 17/64" or 5/16"
1 product rating1 product ratings - One Dozen Trophy Taker EZ out field points 100 grain 17/64" or 5/16"
Trending at C $14.12eBay determines this price through a machine-learned model of the product's sale prices within the last 90 days. Material: aluminum. We write it on the waybill to help custom clearance. (In 24 hours). Leave special request (color, size, declare value, etc.) in the order. We are able to solve any problem in our deal. Weight: 125 grain. We are able to solve any problem in our deal. Leave special request (color, size, declare value, etc.) in the order. Fit for ID7.62 mm 2219 crossbow carbon arrrows. Easy on the target and easy on the hand, the EZ Out Field Points from Trophy taker are engineered to be the ultimate field point. Saunders 11/32" Combo Arrow Points, 125 Grain, 1 Dz. Low Drag & Less Matt Wear. Their patented form produces a smaller entry hole. This allows for less drag, greater speed and unsurpassed accuracy. Trending at C $11.74eBay determines this price through a machine-learned model of the product's sale prices within the last 90 days. Rocky Mountain Bullet Point. Screw-In style bullet point designed for practice and target use.